This two-day multidisciplinary conference, organised by UCL, will consider Orwell’s place in contemporary academia, politics, and popular culture. Is he the “wintry conscience” of each generation, or the problematic product of another era? 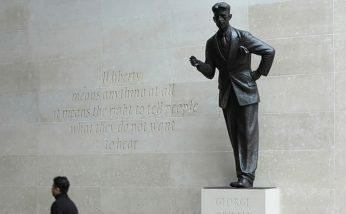 What do we talk about when we talk about George Orwell? The conference will feature keynote addresses from Dr. John Rodden, editor of The Cambridge Companion to George Orwell and Orwell: The Politics of Literary Reputation and Professor Jean Seaton, Professor of Media History at the University of Westminster and Director of the Orwell Foundation. The conference seeks to bring together academics, activists, and journalists, as well as the organizations, like UCL’s Orwell Archive, the Orwell Foundation, and the Orwell Society, that have a stake in the writer’s literature and legacy. For information or to submit a paper abstract, contact Sarah Gibbs.